The UN General Assembly committee responsible for human rights has adopted a resolution urging Israel to end its occupation of Palestinian territories. In the Third Committee, 170 countries voted in favor of the non-binding resolution, “The right of the Palestinian people to self-determination”. Six nations that voted against the measure include Israel, United States, Canada, Marshall Islands, Micronesia and Palau. Four other countries abstained. 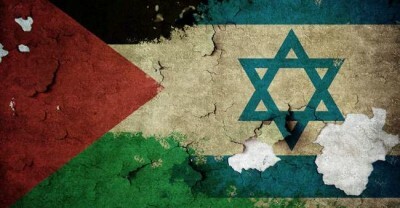 Palestinians have long sought to establish an independent state. Recently, the General Assembly adopted a resolution that allowed non-member observer states to hoist their flags alongside those of full member states. The 193-nation assembly upgraded the status of Palestinians to that of a “non-member observer state” in 2012. Meanwhile, Palestinian UN envoy Riyad Mansour called for an immediate end to Israeli occupation and “Israeli actions and measures aimed at Judaization of East Jerusalem and at altering or eliminating the Palestinian Christian and Muslim presence in and the identity of the Holy City”. “The continuation of the Israeli occupation and its persistence with colonial settlement activities … affirm Israel’s arrogance and intransigence, its violations of international law, its rejection of peace and its adherence instead to the ideology of colonial expansion, subjugation and greed,” Mansour told a special meeting ahead of the International Day of Solidarity with the Palestinian People, marked annually on Nov. 29. The region has been rocked by frequent clashes since September, when Israel began imposing restrictions on Muslim worshipers at East Jerusalem’s flashpoint Al-Aqsa Mosque compound. Since the beginning of October, at least 96 Palestinians have been killed — either after alleged knife attacks against Israelis or during clashes with Israeli security forces, according to the Palestinian Health Ministry. Speaking at the same meeting, UN Deputy Secretary-General Jan Eliasson said security in Gaza and in the occupied West Bank “remain at a very low point”. “We continue to witness illegal settlement activities and settler-related violence,” Eliasson said. “Demolitions of Palestinian-owned structures have continued, including punitive demolitions. Such policies and actions are directly contrary to the government of Israel’s stated intention to pursue a two-state solution,” he added. A UN-proposed two state model envisages the creation of an independent Palestinian state within pre-1967 borders, alongside Israel.